We're a diverse group of ATV enthusiasts working to promote and protect access to public lands. Our trail ambassadors are on the trail to help riders find those special destinations. The future of ATV enjoyment is in our own hands and the Rapids Riders ATV Club was formed with some simple goals in mind. Extend riding opportunities in the Itasca County Area by promoting safety, responsible riding and trail expansion in environmentally friendly ways. Our affiliation with organizations like ATVAM gives our members a voice in the lawmaking process here in Minnesota. We encourage and support groups such as Tread Lightly and share their goals in protecting recreation access and opportunities through education and stewardship. Our members take a proactive approach to regional issues by attending and contributing to local meetings on land access issues. 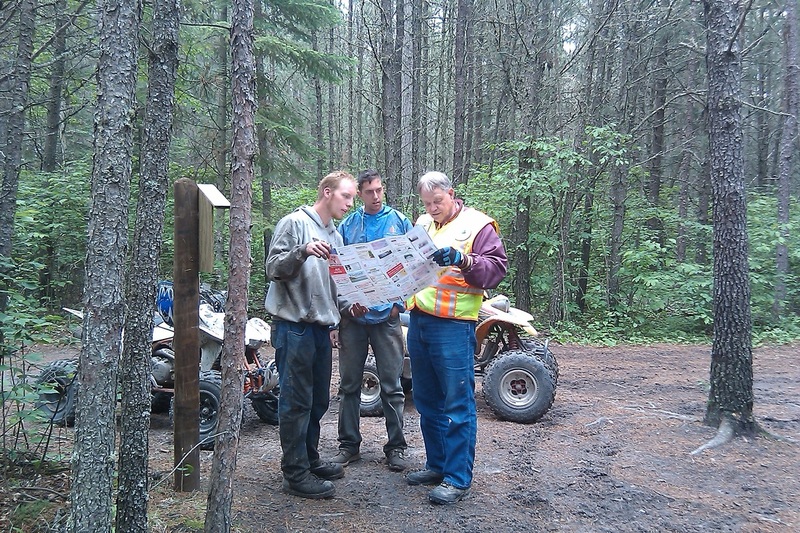 And we host Youth Safety Certification classes to help educate and protect the next generation of ATV riders. Our maintenance sponsorship of local trails contributes to riding opportunities and raises awareness to our mission of stewardship.